Fastway Couriers Ireland – Our services in Ireland include full nationwide courier service as well as international parcel and satchel delivery. ‘Track and Trace‘ your Fastway courier package via our website. 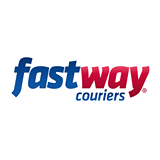 Fastway – founded in New Zealand in 1983 is now operating in over 10 countries worldwide of which include Australia, England, Germany, Ireland, Northern Ireland, Scotland, South Africa, Spain and Wales. Available in Ireland – To assist you to establish your new Courier Franchise territory you will receive a guaranteed income for a set number of weeks. This guaranteed income is in the region of €900 per week. Visit the new courier franchise locations here.